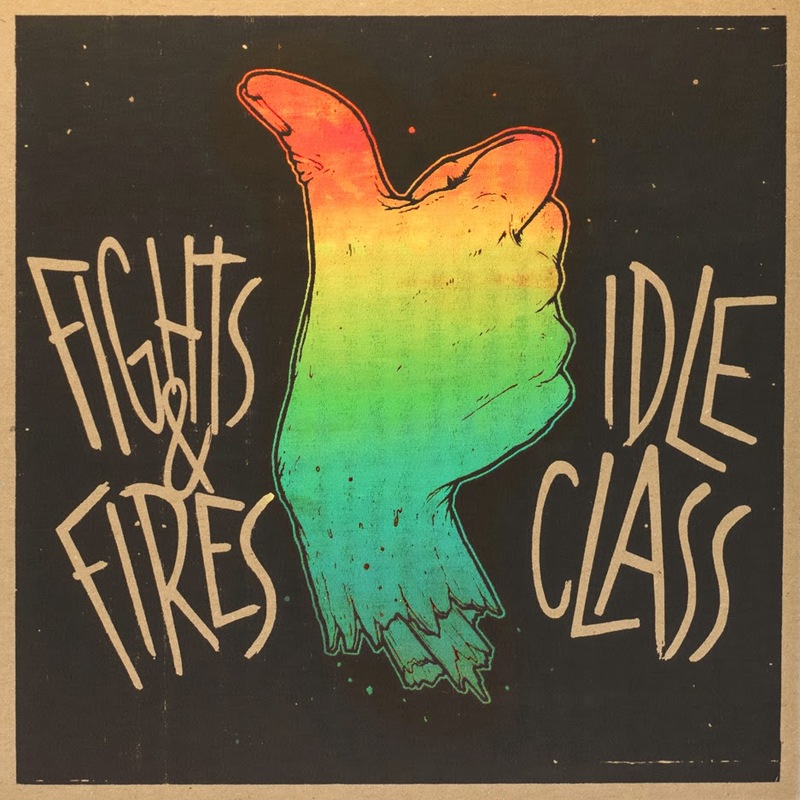 Two Guys Metal Reviews: Fights and Fires / Idle Class Split 7"
Fights and Fires / Idle Class Split 7"
It's not too often anymore that you hear an artist that provides just good, bare-bones, fun punk rock - and so it is a testament to quality craftsmen Fights and Fires that their half of their Split 7" release with Idle Class is teeming with "good vibes" hidden beneath a tapestry of angsty lyrics. Fights and Fires provides straightforward punk with catchy, simplistic riffing supported by some really satisfying background vocals and a lead vocalist that sings incredibly well without sacrificing the rough tonality of his voice. The lyrics he sings are tinted dark, but the musical composition makes it hard not to jam happily along, providing a satisfying similarity to Black Flag's, Slip It In. Idle Class ground themselves in the same stream as Fights and Fires, but in a slightly different vein. While their contribution to the split drips with direct punk rock influence, it deviates slightly in the direction of pop-punk. Their instrumentation provides a more directly emotive context for their lyrical content, at times feeling desperately hopeful and at others like melancholy remembrance. The subtle contrast between both bands' distinctive brand of punk rock allows this release to feel like a cohesive record without sacrificing the integrity of either band's unique styles, providing an "all-in-good-fun" jam-fest that feels oddly complete at just under 15 minutes. Kudos.